It means one in four men who became fathers in 2016 missed out on paternity leave. In 2016, there were around 625,000 working dads around the UK with a child under one. However, TUC figures show that a quarter of them (25%) did not qualify for statutory paternity leave and statutory paternity pay. Most of them - 113,000 working dads - were self-employed. Unlike self-employed mums who are eligible for a maternity allowance, dads who work for themselves don't get an equivalent paternity allowance. Another 44,000 dads didn't get paid paternity leave or pay because they hadn't been working for their employer for long enough. The law requires employees to have at least six months' service with their current employer by the 15th week before the due date to qualify for paternity leave. 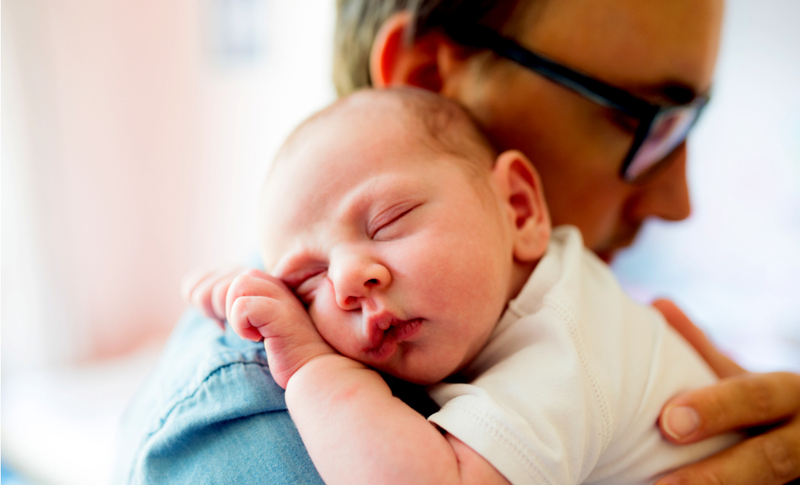 The TUC is calling on the Government to give new dads better paternity leave and pay entitlements. It says many low-paid fathers struggle to take time off because statutory paternity pay is just £140.98 a week - less than half what someone earning the minimum wage would earn in a 40-hour week. Frances O'Grady, TUC general secretary, said: "It's really important for dads to be able to spend time at home with their families when they have a new baby. When parents share caring responsibilities it helps strengthen relationships - and makes it easier for mothers to continue their careers." Too many fathers are missing out because they don't qualify or because they can't afford to use their leave, she said. "We'd like to see all dads being given a right to longer, better-paid leave when a child is born." an additional month of well-paid parental leave just for dads.